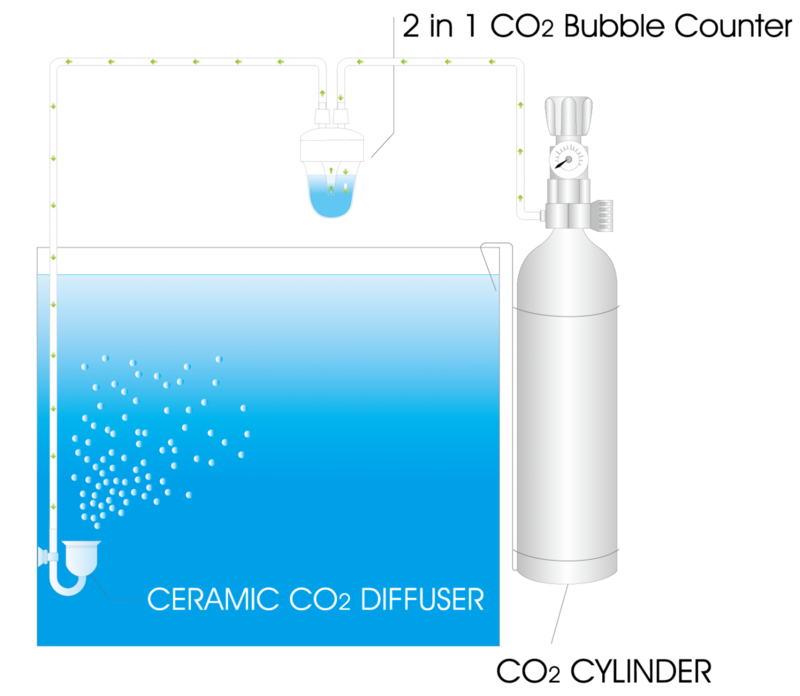 With 2 in 1 functions as CO2 bubble counter and check valve. CO2 pipe fasten screw nut provided to assure burst out of the CO2 pipe. Acrylic material provides clear and easy bubble reading. Acid and breakage endured. Check valve effectively prevents backflow. Loose the cap (upper part) and fill up the reservoir with clear water up to 2/3 full. Fasten the cap firmly and secure the CO2 pipe to inlet and out let correctly with the screw nuts. Loose the CO2 pipe fasten screw nut before disconnecting the CO2 pipe. Make sure CO2 inlet and outlet is correctly connected. Really appreciate their on time delivery, the quality of the product is as displayed and described. Thanks, Indiefur. Definitely will buy more items from you.